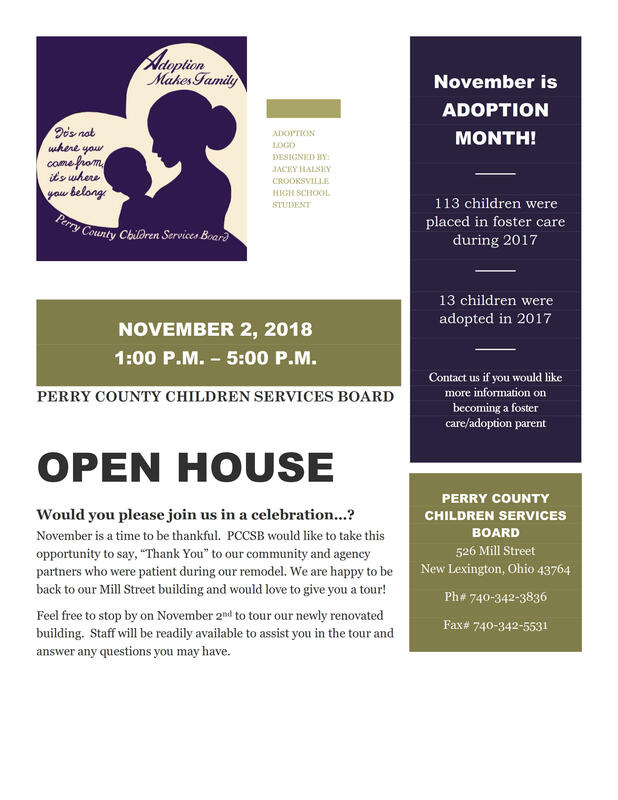 November is National Adoption Awareness Month AND the Perry County Ohio Children Services Board is holding an open house on November 2, 2018 from 1:00 p.m. - 5:00 p.m. at their newly remodeled facility in New Lexington, Ohio. Click on the flyer below to view full size. Contents copyright © 2011-2019 by Perry County Ohio. All rights reserved. DISCLAIMER: Information included in this site is believed to be accurate but is not guaranteed. Perry County is not liable for errors or omissions.